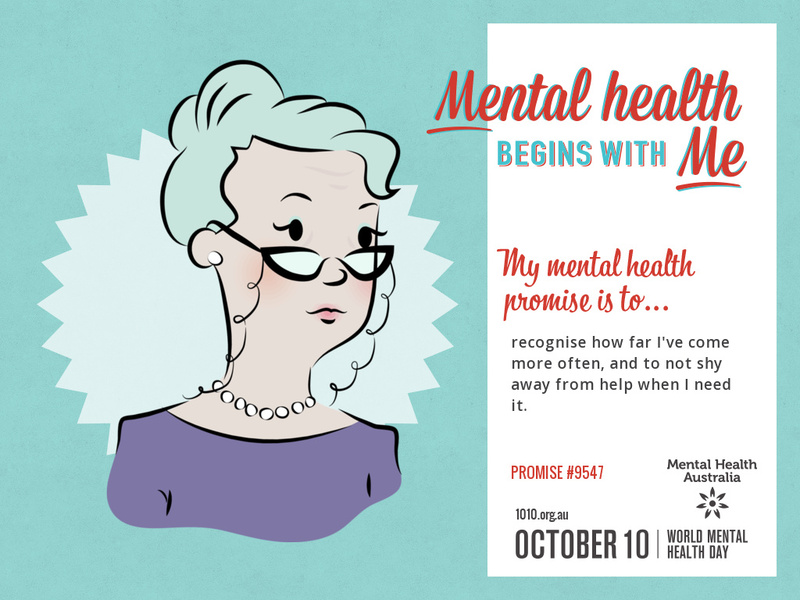 It’s #MentalAs week on the ABC soon, and even in the general Australian vernacular, there has been an increased focus on mental health: namely, the issues with the system, the quality and accessibility of care, and what we can do about the rising rate of youth mental diagnoses. I watched the youth mental health forum that was recently televised on the ABC, and it made me happy that young people could have a platform whereby they could engage with not only their peers, but also those who have some degree of influence over policy. It covered a whole range of topics, from support for LGBTQI youths to the limited number of consultations allowed under Medicare’s mental health plan. The program was too short for my liking, but I suppose that’s a sacrifice that needed to be made in order for it to air live on television at all. But even if it had been longer, I’m not sure some of my main concerns would have been addressed. There was no discussion or consideration of the pressures faced by young people who are migrants, or children of migrants from different cultures. Of course, I can only speak from my own experience, and even then, I don’t presume to speak for every Asian-Australian (or even Australian) woman. In many ways, I know I am extremely lucky. I was born in an affluent country, I’ve received (and still continue to receive) a fantastic education, and I am able to forge my own path and fulfill my dreams however I see fit, a privilege many other young women around the world are summarily denied. But all this fortune does not mean I have been able to escape my own demons. I won’t go into details, but suffice it to say that it is difficult to battle the daggers of casual racism, peer pressure, the swirl of hormones and this dark, dark black knot inside oneself while presenting a sense of normality to the outside world. And if you are of a different culture, these are compounded by cultural pressures imposed by parents, as well as the wider cultural community. In Chinese culture, though family is of the utmost importance, emotions are not discussed. I knew not to talk to my parents about how I was feeling from a very young age, because I knew nothing would come of it, and they would store it as ammunition to use against me later on. I didn’t know how to talk about my feelings because I wasn’t allowed, and because it seemed wholly unnatural. There are academic pressures, too. I know the “Asian parent” trope has become somewhat of a joke lately, but for some, it does really hit a nerve. You are conditioned to study, to obtain the highest grades you possibly can, but even when you do well, it is never enough. This mentality of ‘never being good enough’ was drummed into me as a young age, to the point where I still don’t fully believe in myself, and where it is hard for me to be proud of everything I have achieved. My father still, to this day, tells me that I didn’t study hard enough for my final exams in grade twelve – and I took those nearly five years ago. My parents controlled almost every aspect of my life until I gathered up the courage to leave. They used to hit my sister and I with bamboo canes when we were little, and even though I now recognise that as an act of domestic violence, there is strange disconnect in my head where “they were doing it for my own good”. I was once grounded for a month and a half for staying over at a friend’s place with their knowledge, just not their consent. I was interrogated as to my daily whereabouts, and at the age of 18, I had to be home by 10pm. I understand, just as I understood then, that they thought this was the best way to bring up their children – and I would not be remiss in saying that this kind of attitude is widespread throughout many Asian-Australian families. There is also a stubbornness that I am beginning to think is ingrained in Chinese culture. There is a mentality of strict obedience and adherence to traditional values, even in a country where some of these values may differ (like Australia). An attempt to escape from this is seen as an act of utmost defiance, possibly because it means a loosening of parental control. I learned not to ask my parents for anything because I knew the answer would be no, and it wouldn’t be worth the effort to ask in the first place. I was defeated, both by my parents and by my mental illness. An amalgamation of these factors is a disaster just waiting to happen, regardless of predisposition to mental illness, and I think this kind of story is not one that is often transmitted through the media. I hate to admit it, but Orientalism is very much alive and well in Australia. I have only very recently begun to reconcile with my parents, and though I know they love and care for me in their own way, I also know I will never be able to tell them the whole truth about my life. They refuse to acknowledge my mental health issues, so they don’t know anything about that side of my life. I have had to go it alone for a while, and I have had to turn to others because I knew I couldn’t trust my parents. The real world is scary, especially if you don’t have anyone to hold your hand through it. I am, again, very lucky that I have met people along the way who have been willing to help me up and walk with me, but I know there are too many young people out there who do not have this luxury. I’m glad that mental health issues have come onto the Australian agenda with such voracity, and I wish I could have attended the National Young Writer’s Festival panel, where there was great discussion around the place and treatment of mental health issues in literature and contemporary writing. At the same time, I think the road ahead is still long, and paved with pitfalls, but I am optimistic about the future – after all, I know we have come a long way since a nine year old me walked into the school counsellor’s office. (I chose the old lady picture because I am an old grandmother).